I am so excited that there are only 14 more school days left! It seems that the end of the school year is so busy for me and my family. I’m trying to get all the end of the year school stuff done, dance recitals to prepare for, graduations, and so much more! I keep track of all my exercise and running in a little booklet and have noticed that I often run less in May. This week I only got 3 real runs in. But I did start the T25 program and that is going amazing. My husband is is also completing the program with me. It’s basically only 25 minutes a day of a workout. One day I will post more about this! But we are LOVING it. I am so proud of my husband for doing the T25 workout with me. Even my daughters try to do it! If you love to run, I think it helps to sign up for a race so that you are motivated to run. I was training so hard to get a sub 2 hour half marathon in April that I think this month I just needed a break. I’m going to get back on track soon so that my pace doesn’t slow down too much. I still haven’t reached my sub 2 hour 1/2 marathon goal yet so I need to work a tad bit harder in August. I missed it by less than 2 minutes! It also helps to have someone to run with so that you are held accountable. When I run alone, I just go by how I feel instead of pushing myself. 1. 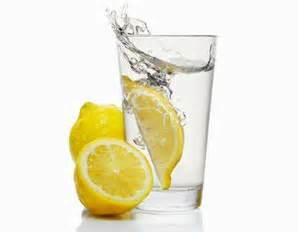 Lemon water boosts the immune system because it is high in vitamin C.
2. It also can help with weight loss! It is high in pectin fiber! Who would have known? 3. Lemon Water helps with digestion! 4. It is a natural diuretic. Also, if you have a scar you can rub some of the lemon right on the scar. There are many more but I am glad I have been doing it but never knew the specific benefits! All I do is cut a whole lemon and place it in my Tervis cup with ice and water. I just keep refilling the bottle all day long and use the same lemon for the day. Summer will be here soon! Yeah!!!!!! It will be hot, so drink plenty of water because 75% of your body is made up of water. It can be easy to dehydrate while running or working out. Plan ahead and make sure you have lots of water. When I go for a long run, I drop my water bottle in a bush so that I have some water during my run. I just find a hiding spot before I start so that I don’t have to run with a bottle.